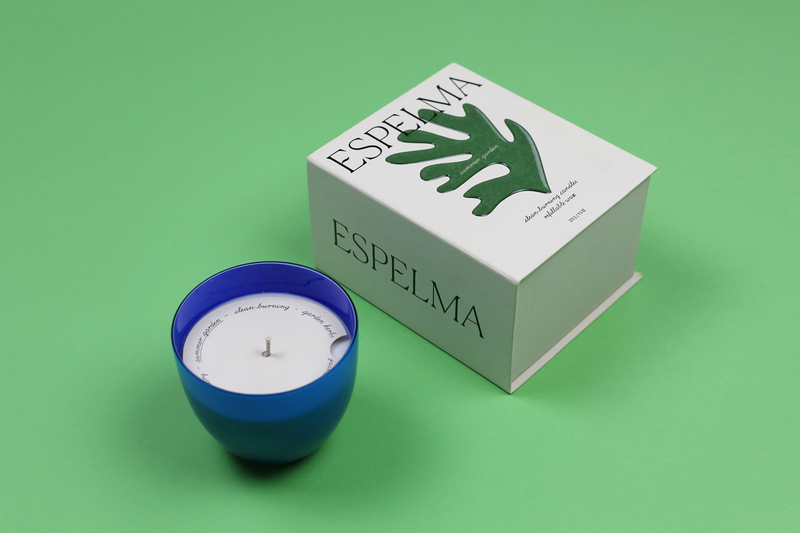 Espelma concentrates on ‘natural wax, refillable candles in handmade Murano glass’. 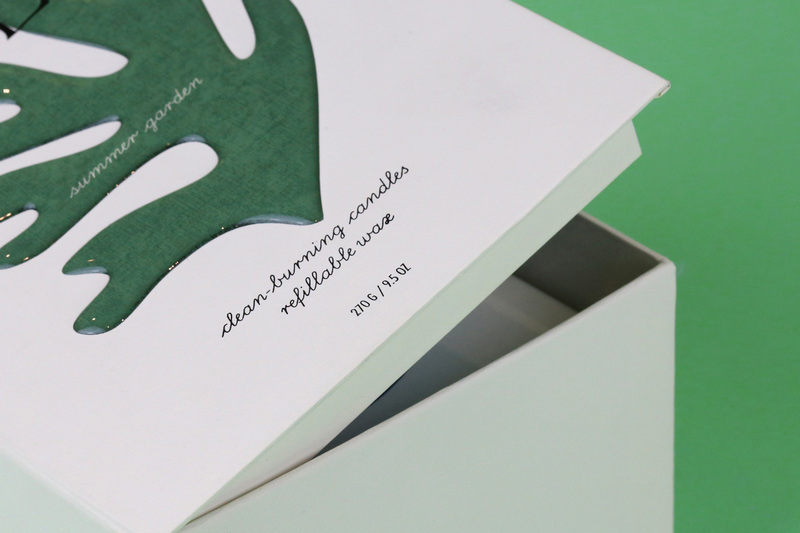 The brand was born from a desire to create a wax candle that was safer to burn indoors and free from harmful emissions. 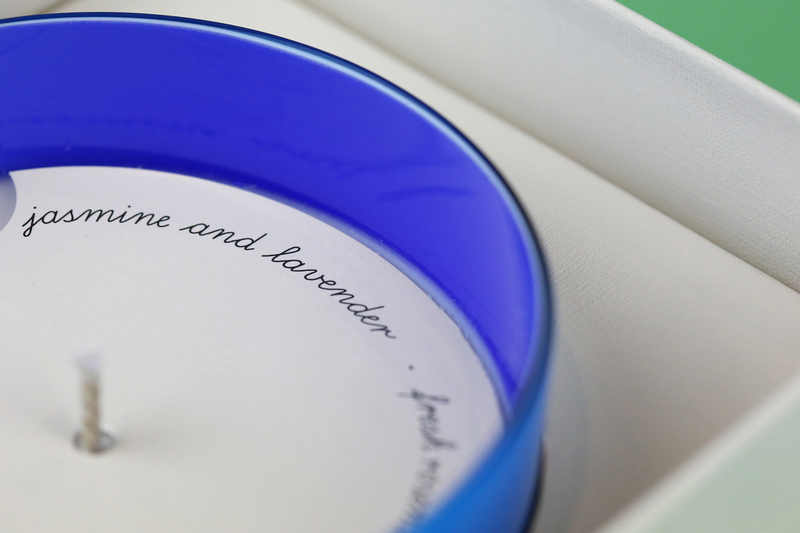 Every purchase guarantees a unique work of art, thanks to the glass-blowers commissioned to create the stunning candleholders. 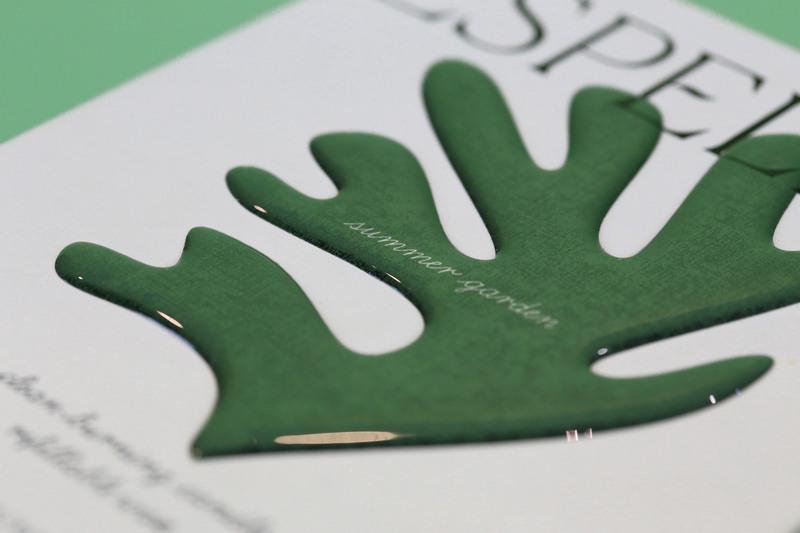 These debut fragrances are available online, in pop-up shops, and in Liberty, London. 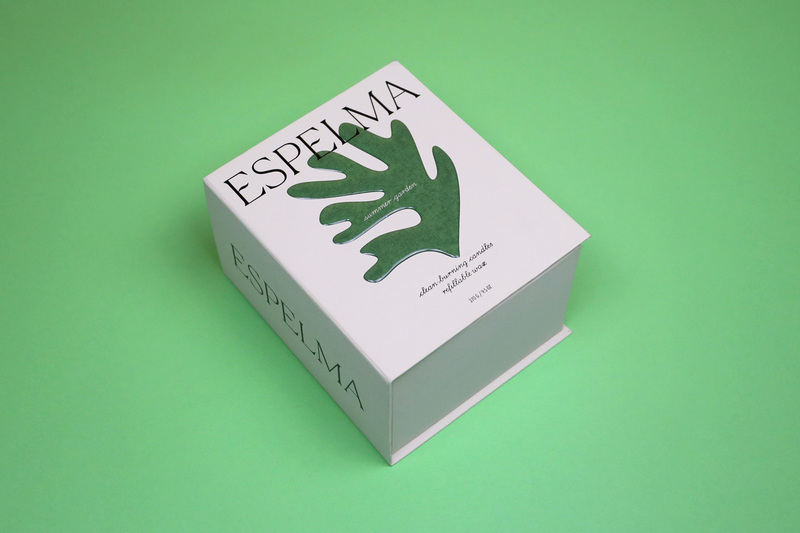 Working with their chosen designer, Commission, Progress created a full collection of packaging for Espelma. 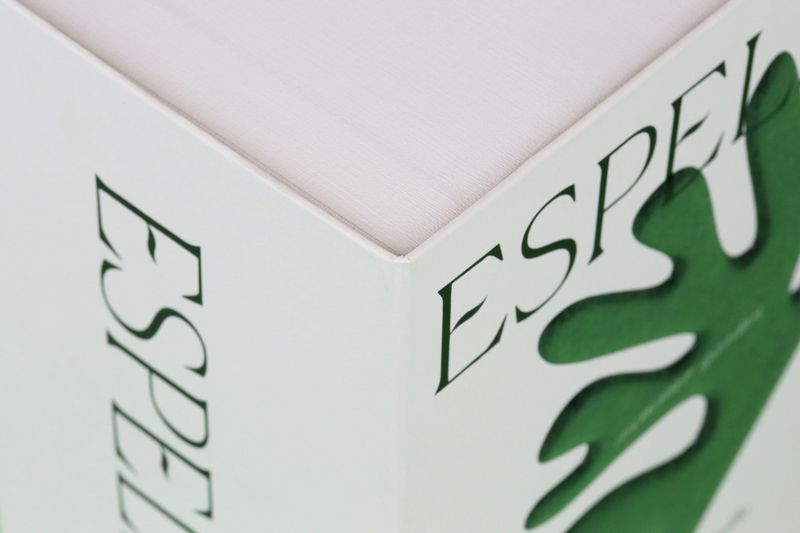 The candle boxes were made in a three-board case and tray format and lined throughout with custom-printed paper plus emboss. 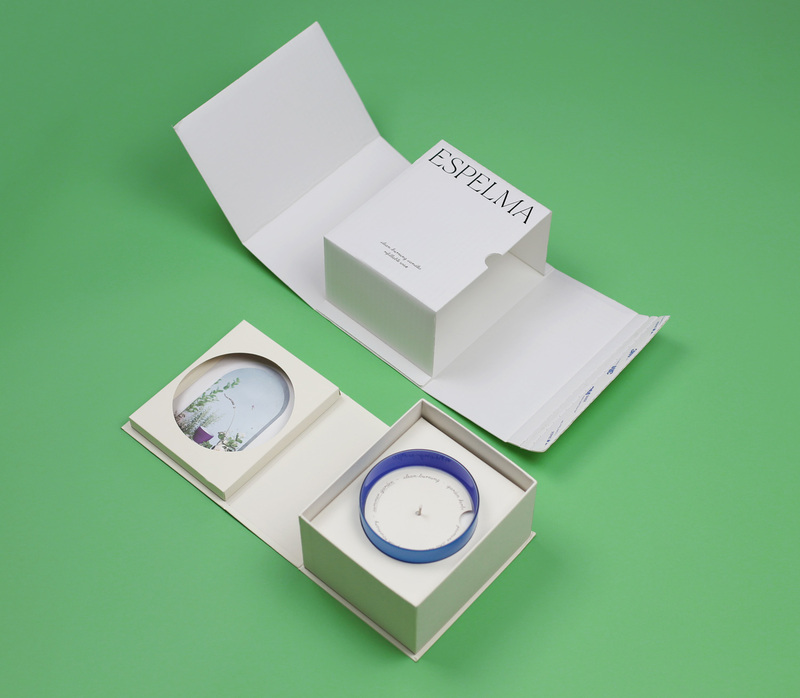 Inside, we inserted an inner lid die-cut platform, as well as a base platform to hold the candle securely. 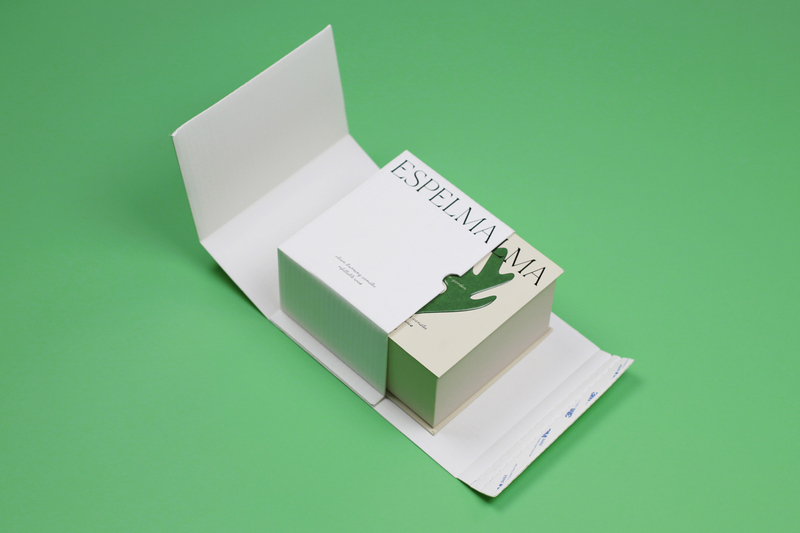 These were also made from custom-printed paper plus an emboss. The lid was foil blocked black in three positions. For the candles, we created card toppers split over six designs, each topper 95mm in diameter and printed black on one side. 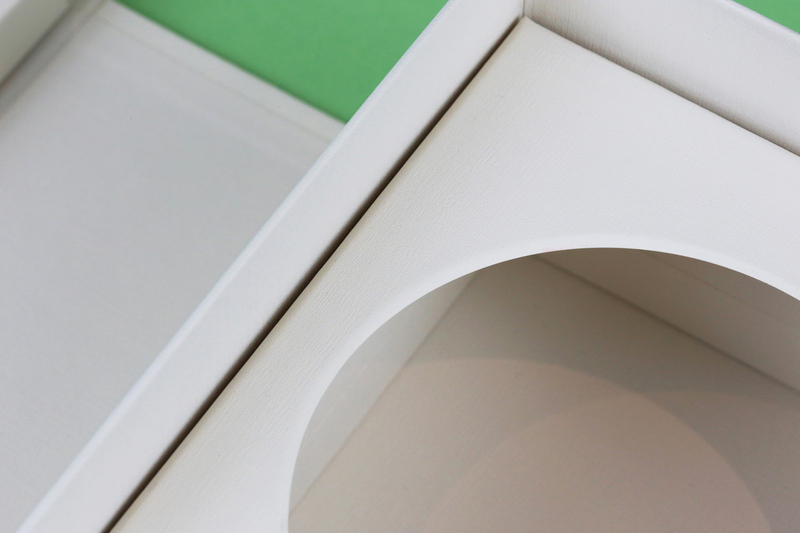 Several shipping boxes were also produced, each made from white corrugate. 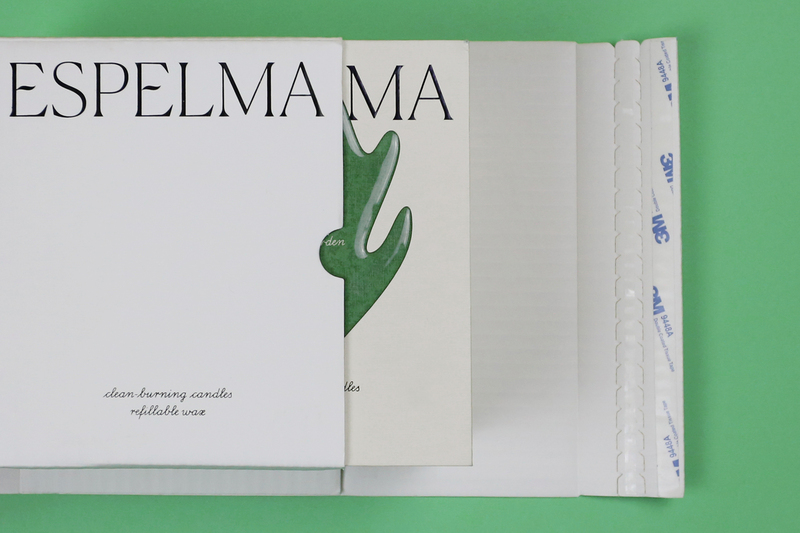 Two versions were plain, split by two sizes for one or two candles, while one version was custom made to include their printed logo. Made in the Far East, these were delivered internationally, with some being delivered to the candle makers in Italy, while others were shipped to New York and London as stock for the pop-up shops.